If you wanted Skate on PC, this might be worth a look. Developer Easy Day Studios Pty Ltd has announced that their upcoming Steam Early Access title Skater XL will be arriving to PC this month, and it looks like EA’s Skate. Easy Day Studios consists of developers from Frosch Media who created Skater that is available on iOS and Android allowing players to perform tricks using their fingers on the touchscreen. Skater XL will allow players to skate across real-world skate spots and perform tricks the way you want. According to the press release, the method for performing tricks uses “ground-breaking and intuitive controls”. The arrival to Early Access will see you skating around the LA Courthouse, although no other skate spots have been confirmed as of yet. The teaser trailer is below and it really does look like Skate, and even shares the same third-person low camera angle. It appears that skating games are coming back into fashion. with Crea-ture Studios’ similar looking Session which took to Kickstarter in 2017 with the hopes to be launching on PC and Xbox One. It also appeared at the E3 2018 briefing with an announcement trailer. Tony Hawk’s is also launching a new mobile skating game, and another mobile skater, Epic Skater 2 is available on the PC. 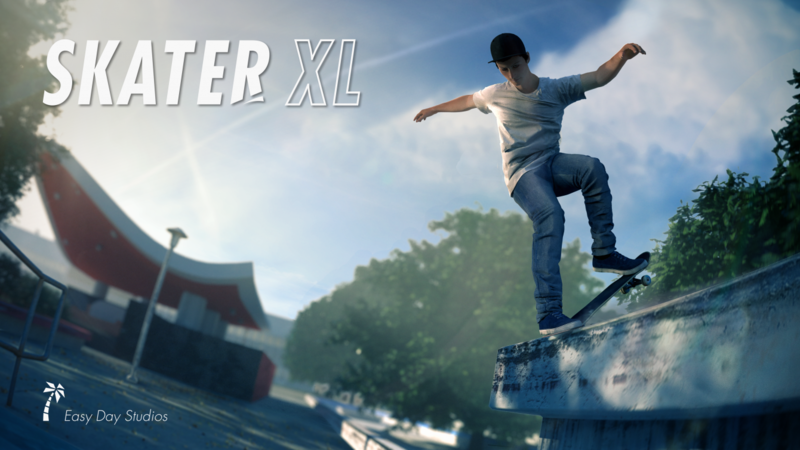 Skater XL will arrive to Steam Early Access on PC on December 19, 2018. Though it originally released on Xbox One and PC, the Nintendo Switch version of Cuphead makes the 1920s-style platformer feel right at home.